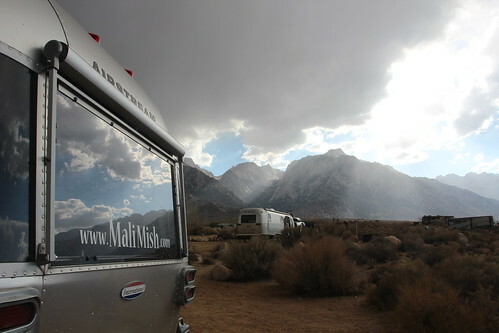 Mali Mish - The Eastern Sierras: Lone Pine. It is pretty surreal to be in Death Valley, which has the lowest point in North America, and then a couple hours later, you can be at the doorstep of Mt. 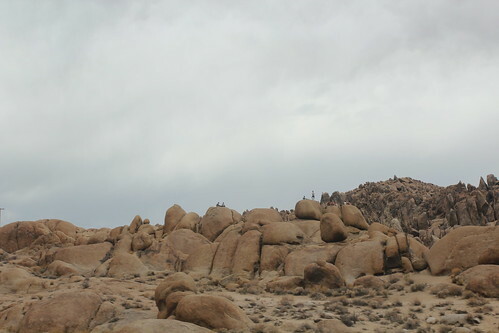 Whitney, the highest point in contiguous United States. Today we continued our caravan with Tin Foil House and are camping at our very first BLM campground, Tuttle Creek Campground. Look at those views!! And for only $5 a night!!! What a steal. Not only was I extremely happy to still be alive today, but now we were surrounded by a super fantastic back drop. Life is good. 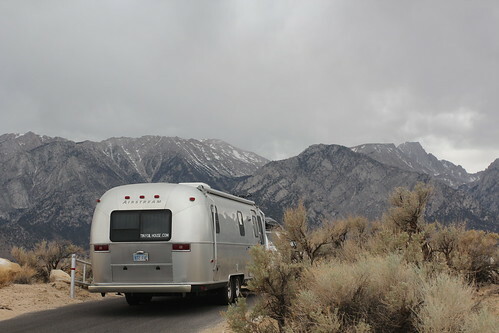 Soon after setting up the Airstream, we headed into the town of Lone Pine for some exploration. 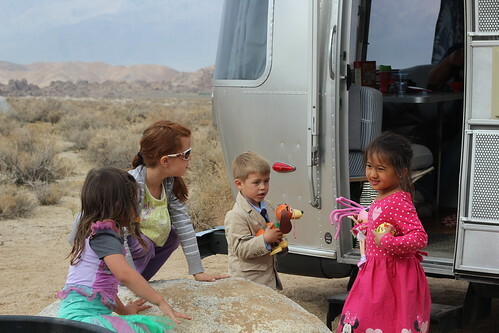 In the morning, our caravan of 2 Airstreams magically turned into 3 when 1337stream met up with us at Tuttle Creek. 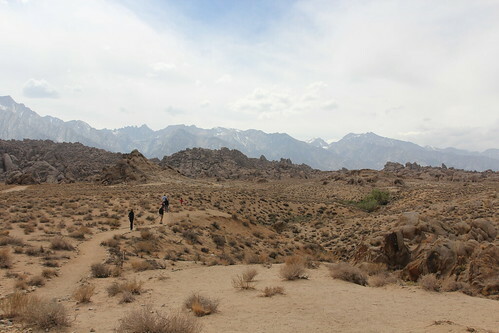 We decided to spend the day exploring the famous Alabama Hills. The girls were excited to get to play with Jack again. 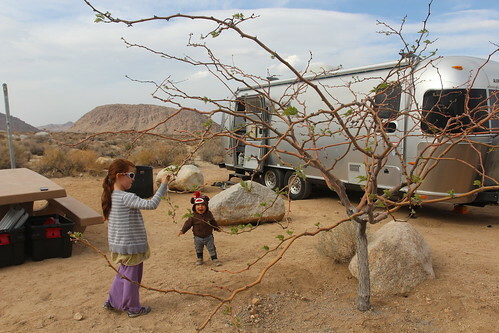 This trip will make it the 3rd time we’ve met up with them during our Airstream travels. 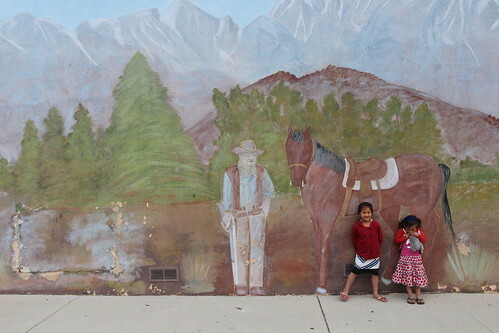 The first time was in Denver, Colorado and the second was in Pioneertown, California. 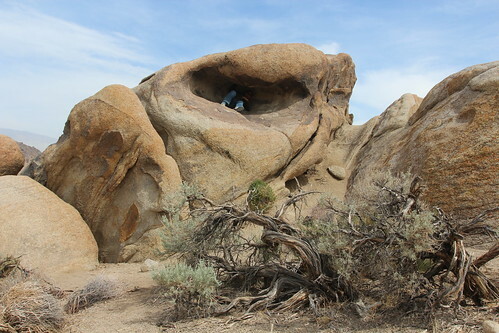 The Alabama Hills are also part of the Bureau of Land Management (BLM) and they allow you to camp here for free. We decided against it since the cell reception was too spotty for those of us that had to work. 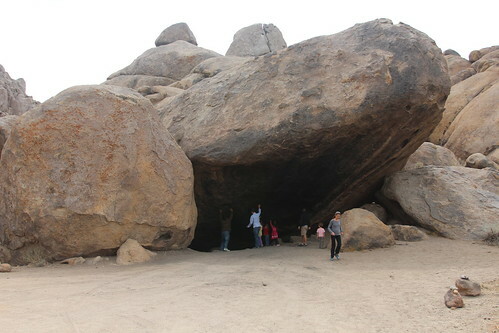 And if you ever see this rock and decide it is good idea to pretend tp push it up with your barehands, don’t. Someone had very dirty hands from campfire soot. But I am not naming names. 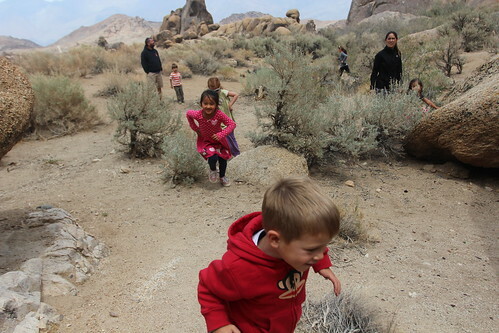 The kids were pumped to run around like crazy maniacs. 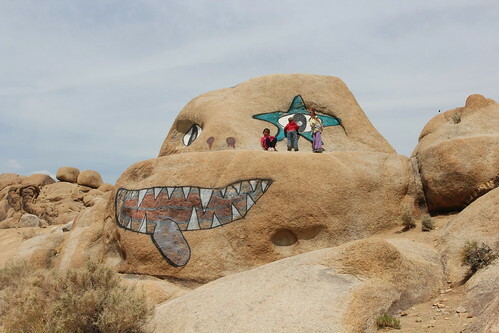 I wonder if they would still be this excited if we told them the movie Tremors was shot here, as well as numerous Westerns and most recently, Iron Man and Transformers. 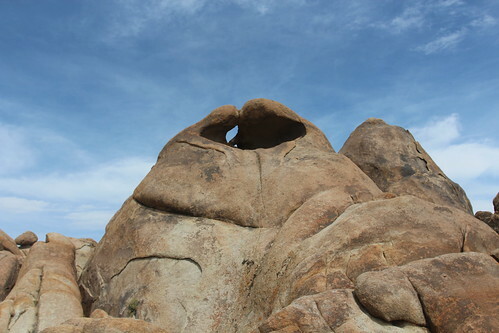 So we figured we’d take the crazies on a hiking trail that would lead us to a heart shaped arch. Mila has a thing for Jessa from 1337stream. When Mila’s legs got too tired, she told me that she was going to hike with Jack’s mama now. Mila knows that I can’t pick her up with Luka in the carrier and knows that Jessa has a soft spot for her too. Ava’s love for rock climbing is expanding with each hike we do. 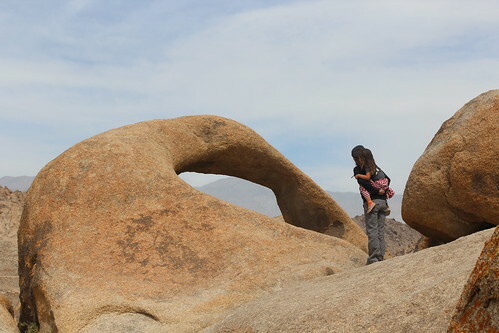 She hiked into this arch like a champ. 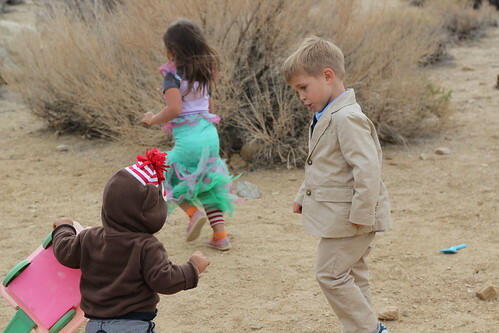 Go, Ava! And Dan found a nice spot to take a quick nap. And here it is. 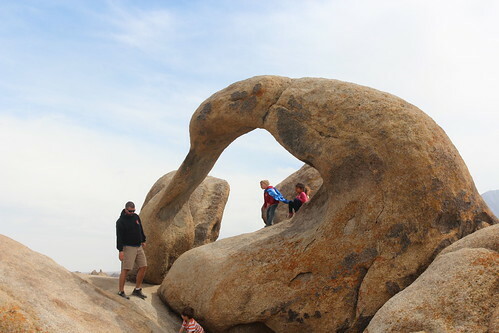 The heart shaped arch that we came to see. Ohhhh. Ahhhh. 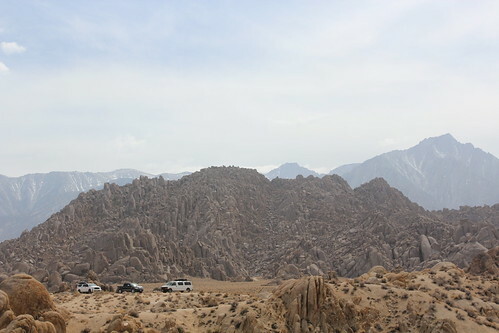 The Alabama Hills make our random parking jobs look like we are filming a car commercial. 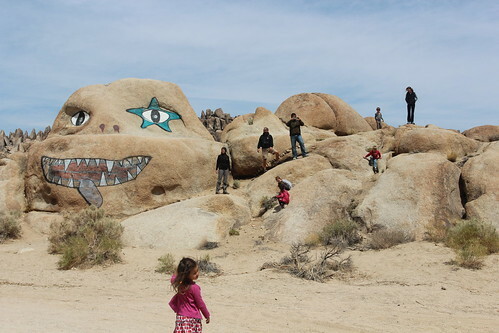 But the high desert isn’t all fun and games all the time. 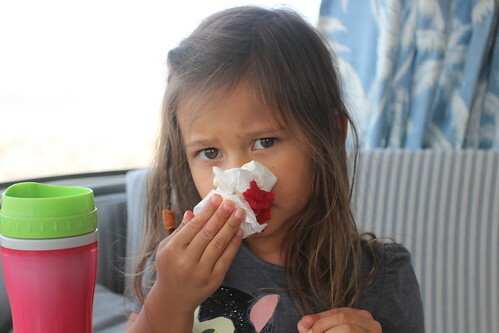 These girls take turns getting bloody noses as soon as we enter the desert. I guess I should also report that we found the elusive desert monkey during our stay here in Tuttle Creek. Jack seemed to think he wasn’t too dangerous. So we let the kids adopt him as their pet during our stay. Hey guys, has anyone seen our monkey? Be gentle, Mila! 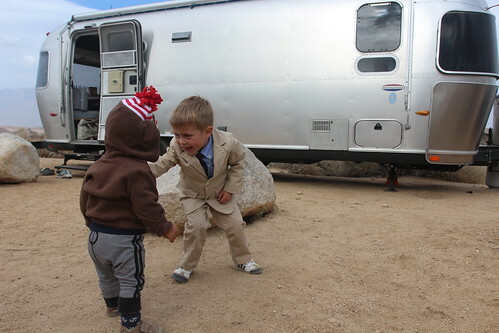 You are going to scare him away. Don’t worry little desert monkey, I just sent her to time-out. 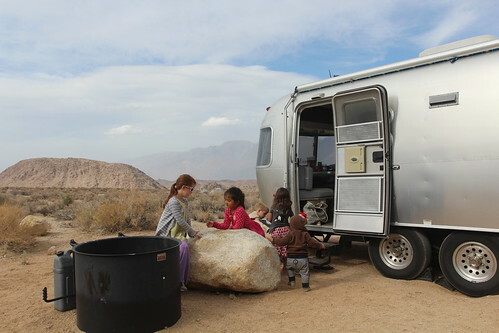 Here is a shot of all three of our Airstreams. 1337stream to the left, us in the middle and Tin Foil on the right. And if we were smart like 1337stream, we would have parked by the greenery, aka the creek, during our stay here. Oops. But I can’t complain too much with the view of the Sierra Nevadas out of our back window. 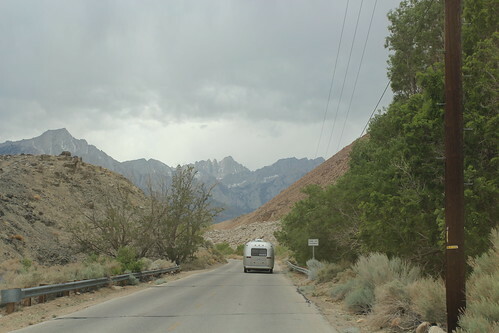 One Response to The Eastern Sierras: Lone Pine. 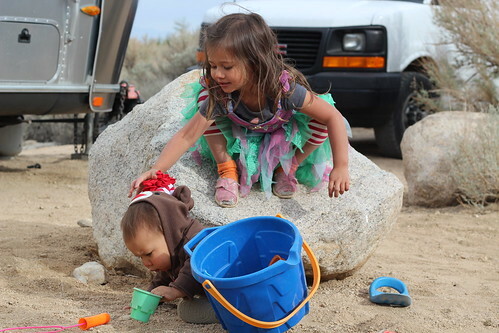 We LOVE Lone Pine! 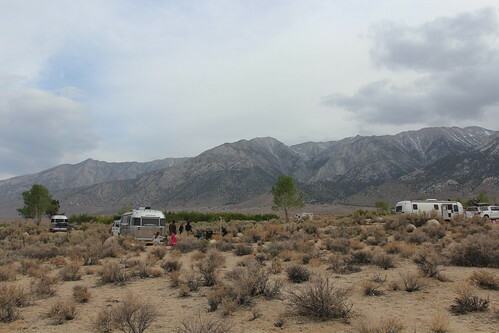 We stayed here for several months (you can buy a 3 or 6 month pass from the BLM at the Visitors Center) with our 19′ International and loved every second of it. 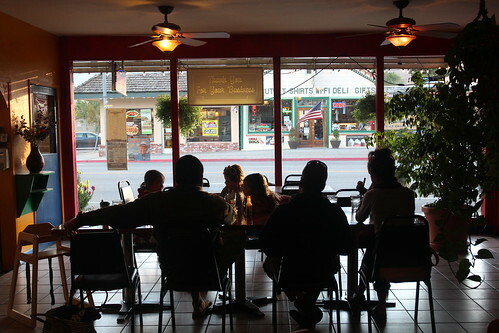 The grocery store in town is a little sketchy, but we made weekly trips to Bishop to compensate. You could stay here for years and not experience all the hikes, rock climbing, and touring … a real gem. Glad you guys liked it!